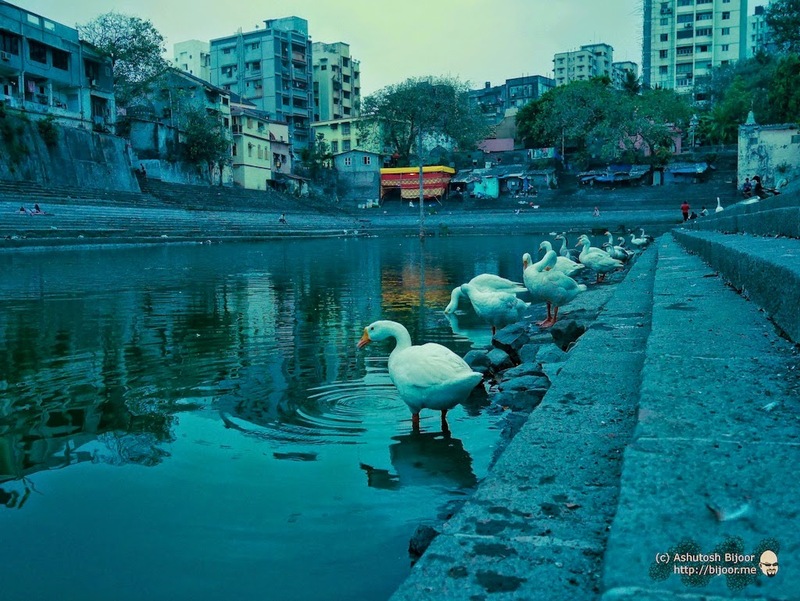 Banganga Tank is one of the oldest sweet water tanks located in Mumbai. 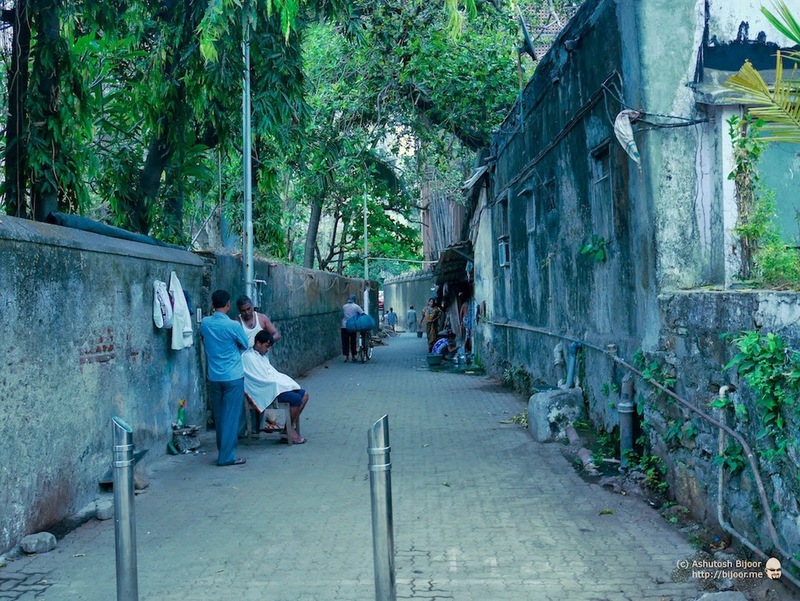 Before Mumbai got water supply from the Vihar and Tulsi lakes, the only source of water were several tanks built within the city. 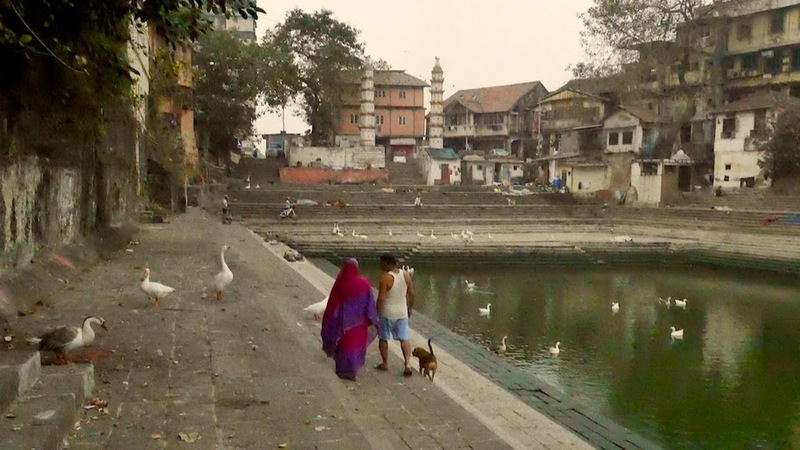 There were eleven tanks in all, of which Banganga is the only tank that has been present since ancient times. It is a great destination for a weekend cycle ride. 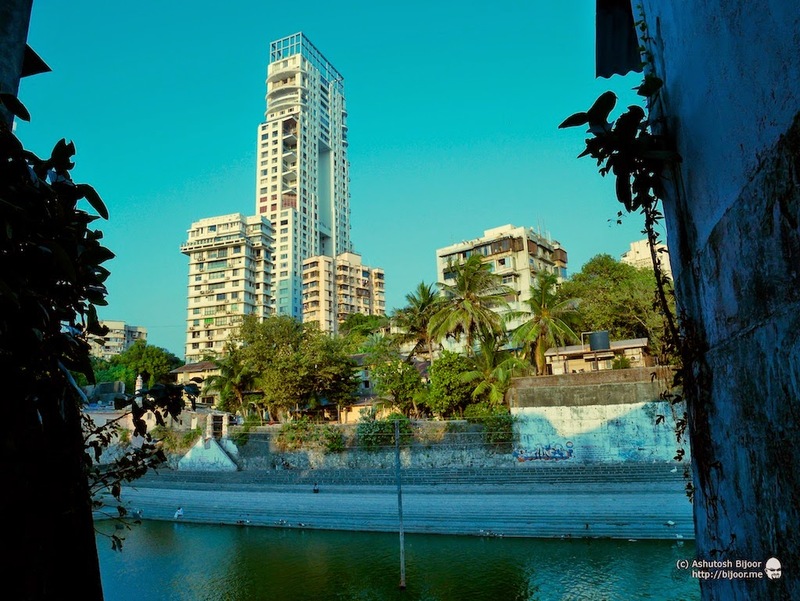 The distance from Andheri to Banganga is just over 25 km one way. 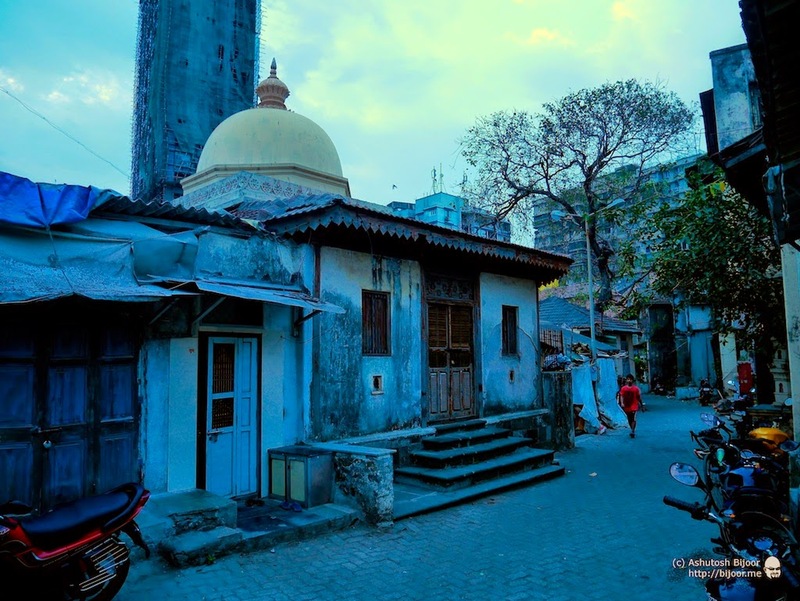 The access to the tank and the temple is through narrow lanes lined with old houses that seem to stand still in history. 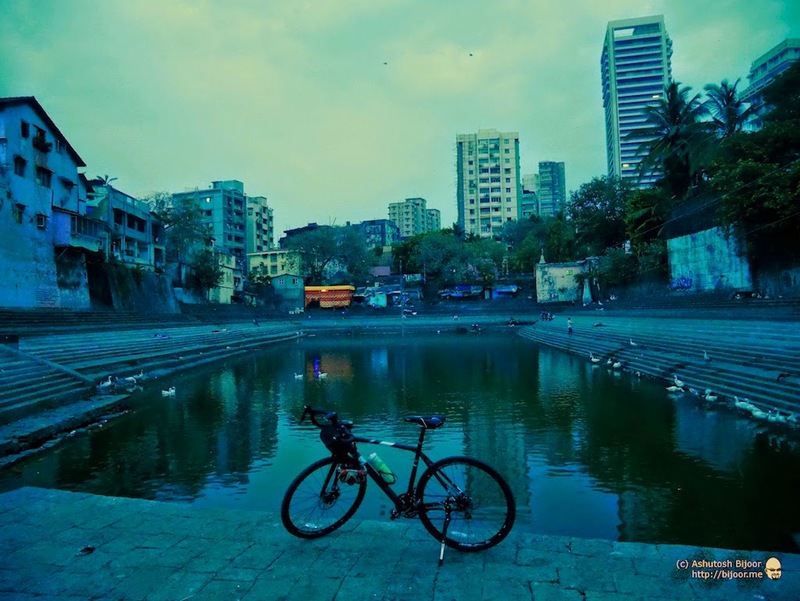 One of the favorite destinations for several cyclists, I had visited Banganga several times with friends before, but never really paid attention to it’s historical significance. 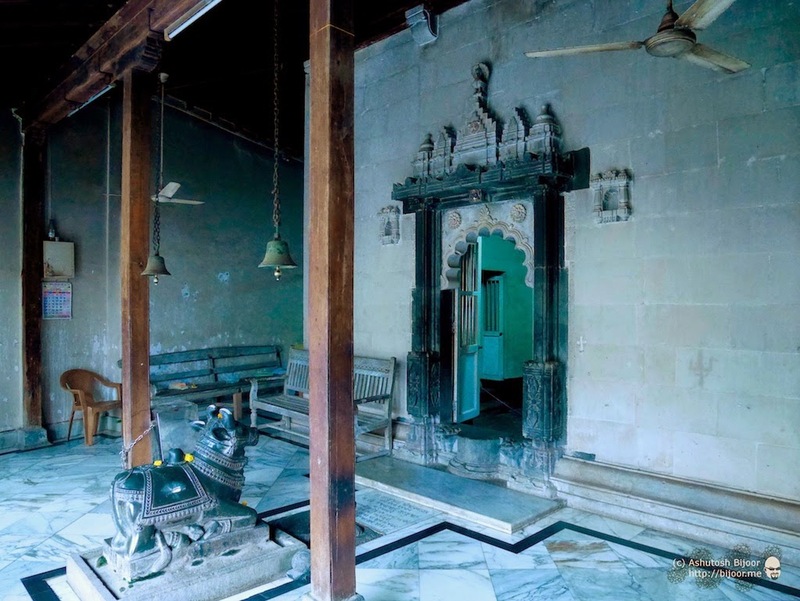 The first known historical reference of this site is from the Shilahara dynasty that ruled northern Konkan including Mumbai, with their capital in Thane. 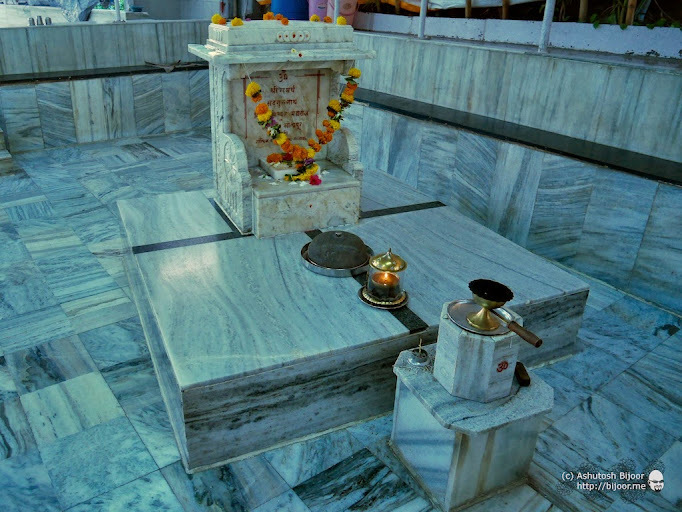 In 1127 AD, Lakshman Prabhu, a minister in the court of King Aparaka I was commissioned to build the tank and the neighboring temple. 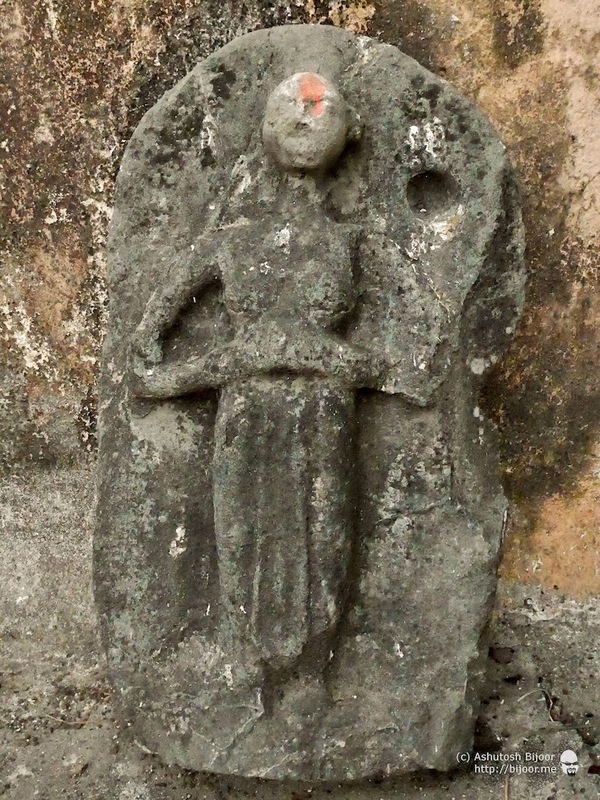 This statue seems to be of a devotee meditating in the Pushan Mudra – with the right hand showing the thumb touching the index and middle finger. 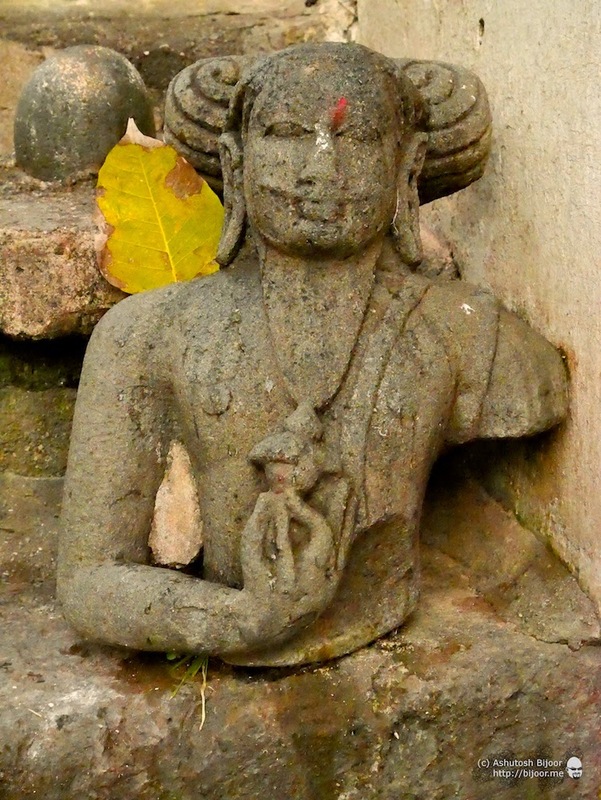 The left hand in the mudra has the thumb touching the ring and middle finger – would have been nice if both hands were still in tact. The Shilahara administration was very methodical. 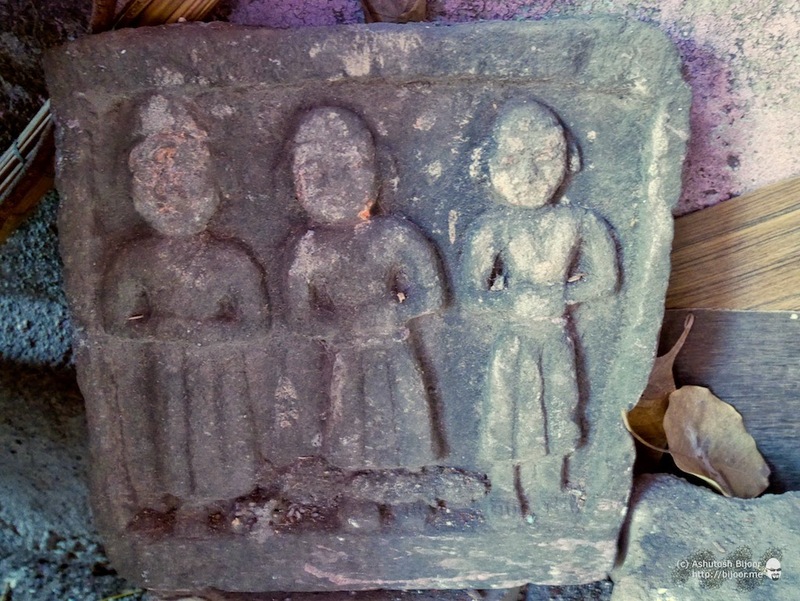 Hinduism, Buddhism and Jainism were all living side by side in the Silahara districts very amicably, but the Silaharas themselves were Hindus (ref). 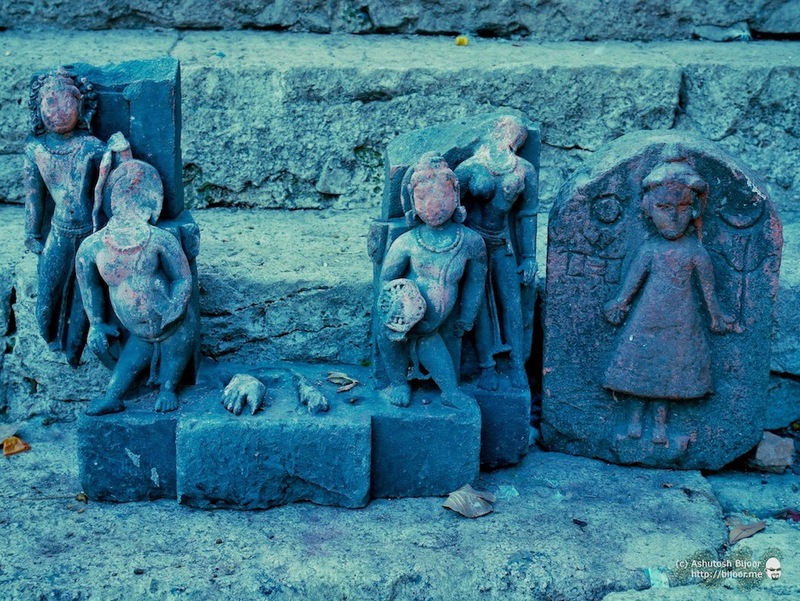 The left panel above seems to depict Hanuman, the monkey god and his army. The panel to the right with three standing figures with folded hands is a pattern that is found in other panels too. Curious to know the significance. This carving lying on the steps on the southern bank seems to depict a scene. 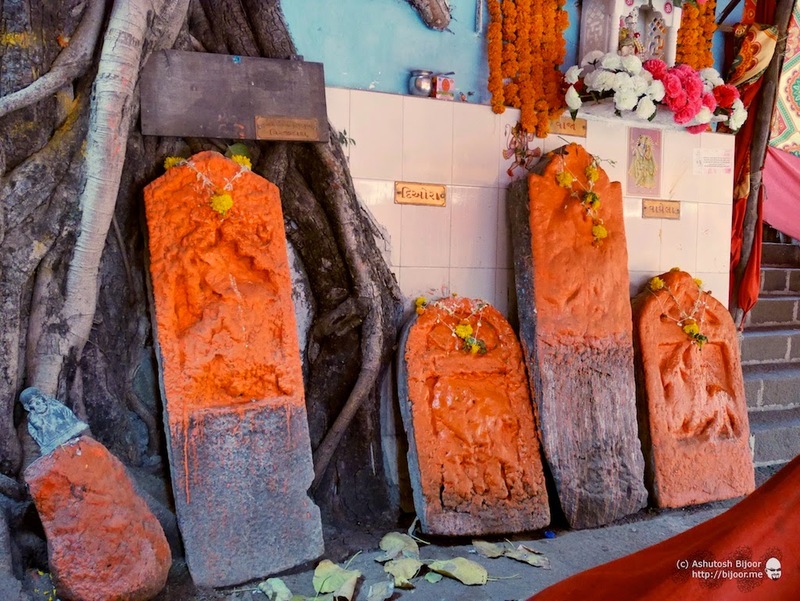 Could it be that the figure on the left is that of Lord Rama holding a bow in the left hand and the right hand reaching out for an arrow in his quiver for shooting the arrow in the ground? That would be quite a significant testimonial to the legend of Banganga! 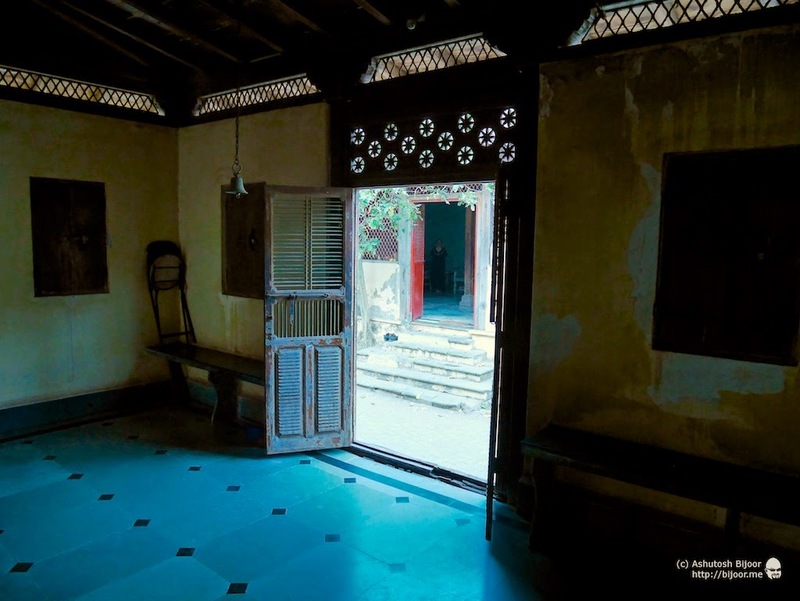 A broken panel that must have been exquisitely carved, but unfortunately in a severely damaged condition just lies on the steps unattended and forlorn. 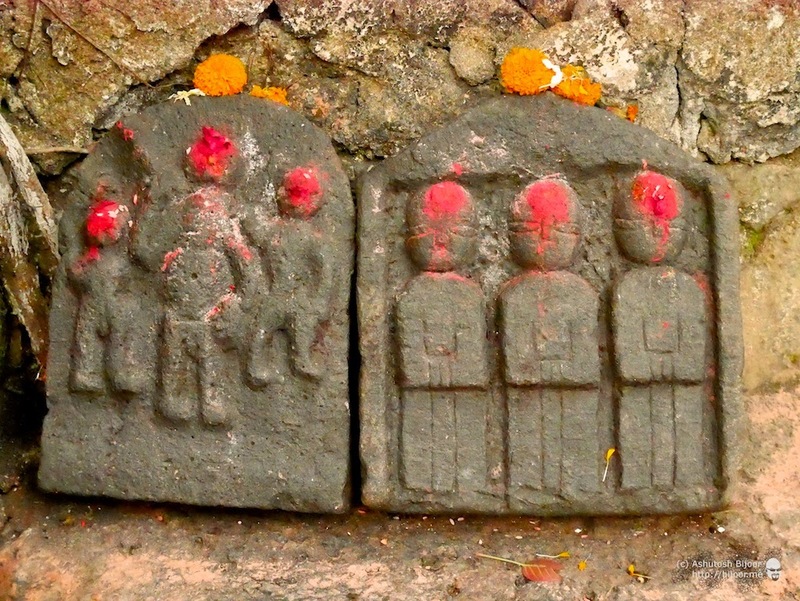 The stone on the right is so incongruous primarily because the dress worn seems to be very unlike an Indian garment. 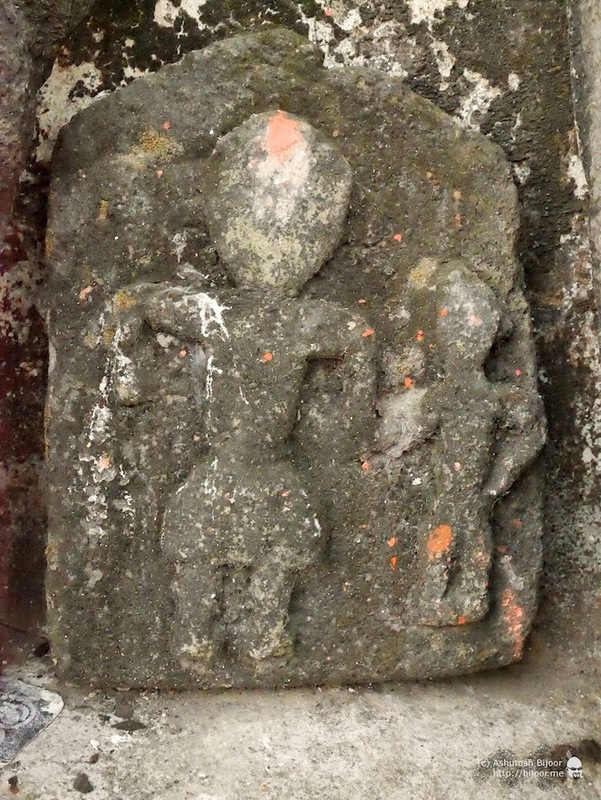 This panel seems to be of a woman and a child. This panel like some others seem to be very roughly carved and hence probably belong to a different era than the more exquisitely carved artifacts. On one corner of the tank, there is a boat lying against the wall. 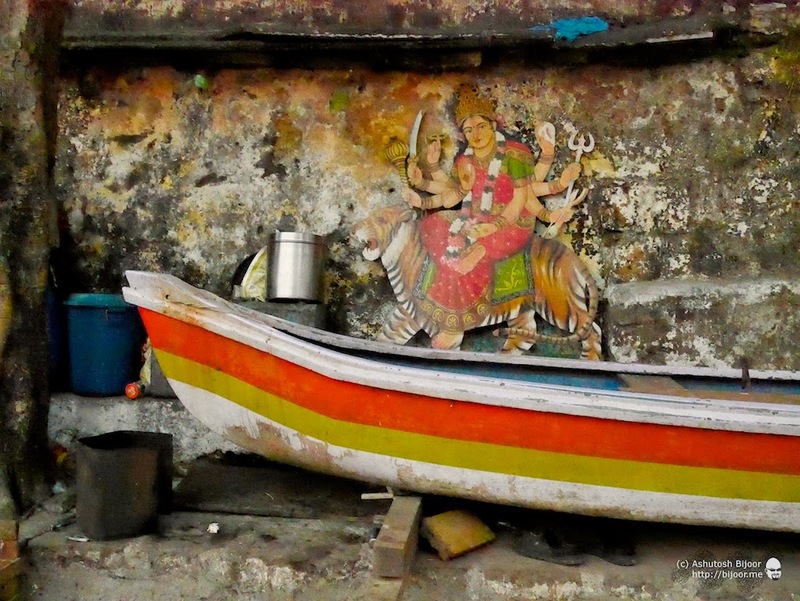 Presumably used to clean the tank by the care takers, the boat makes a striking picture with the painted cutout of Goddess Durga behind, along with some tins and bins. The oldest temple is the one shown in this picture. 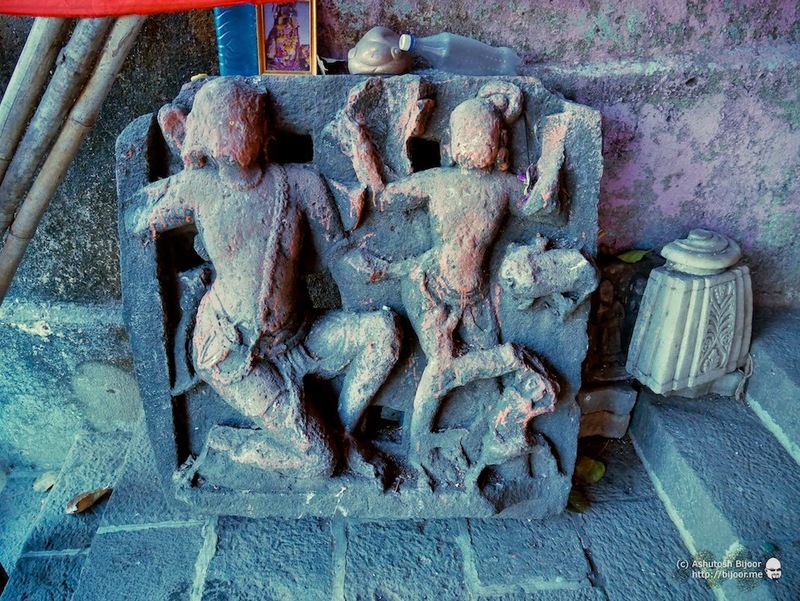 The plaque inside the temple indicates that it is the “Rameshwar Temple”, built in 1842 AD. 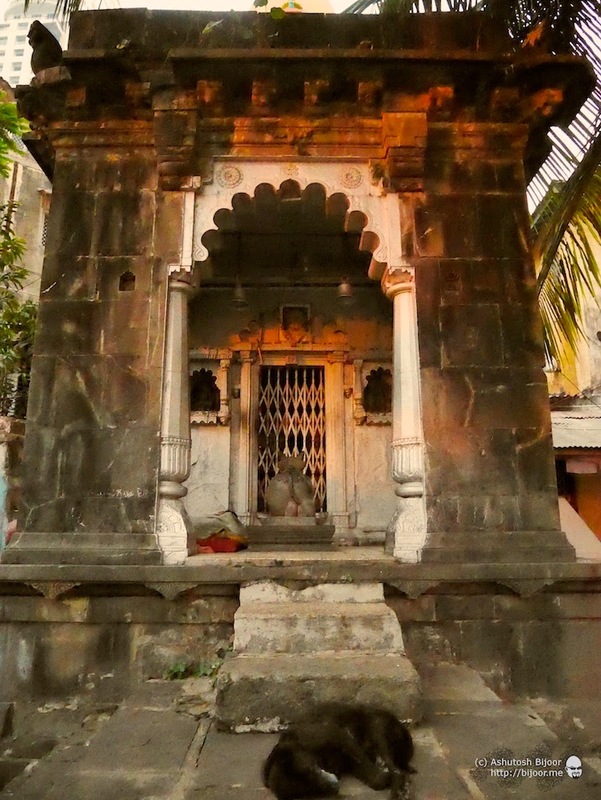 However, it has also been referred to as the Walkeshwar temple (See picture below). 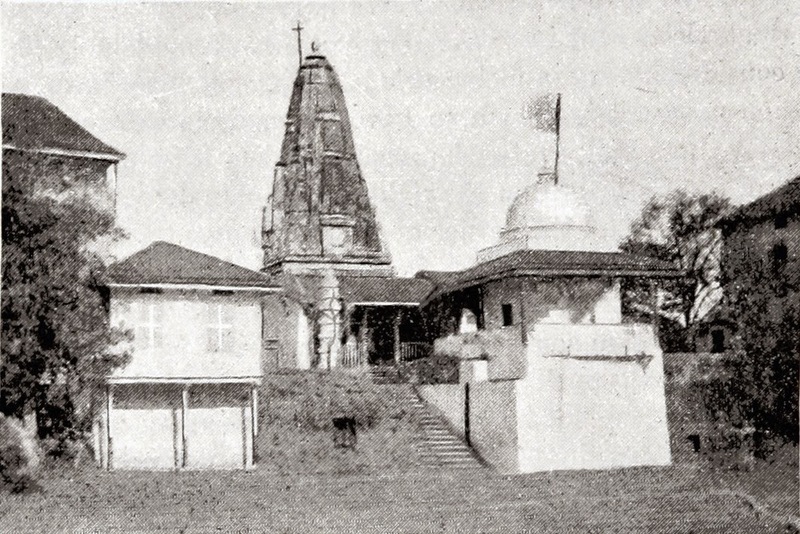 This is a picture dated in 1893 AD of the same temple, from a similar angle taken from the book “Bombay and Western India. A series of stray papers” by James Douglas (copyrights: The British Library @ Flickr Commons, ref). 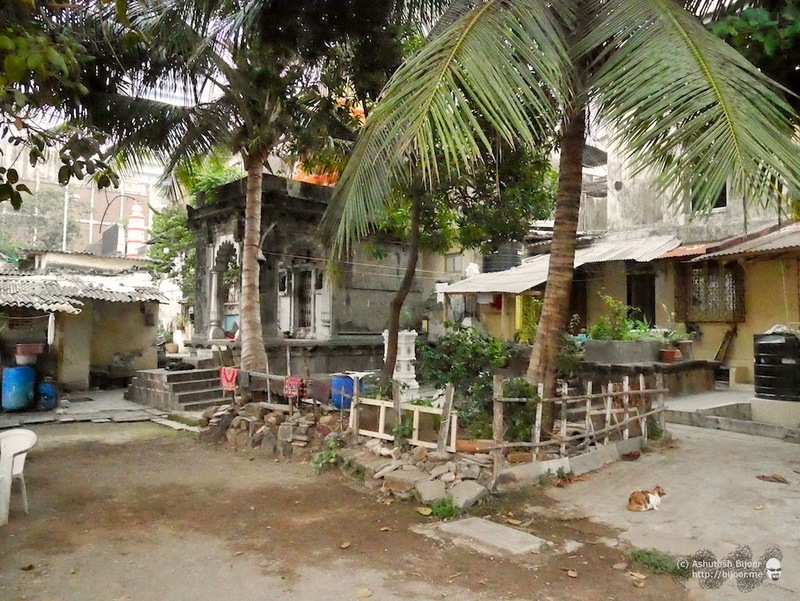 The smaller temple to the right is the Ganapati Temple. The other big temple also on the western bank is more popularly called as the Walkeshwar temple now, seems to be a much more recent construction of bricks and concrete. 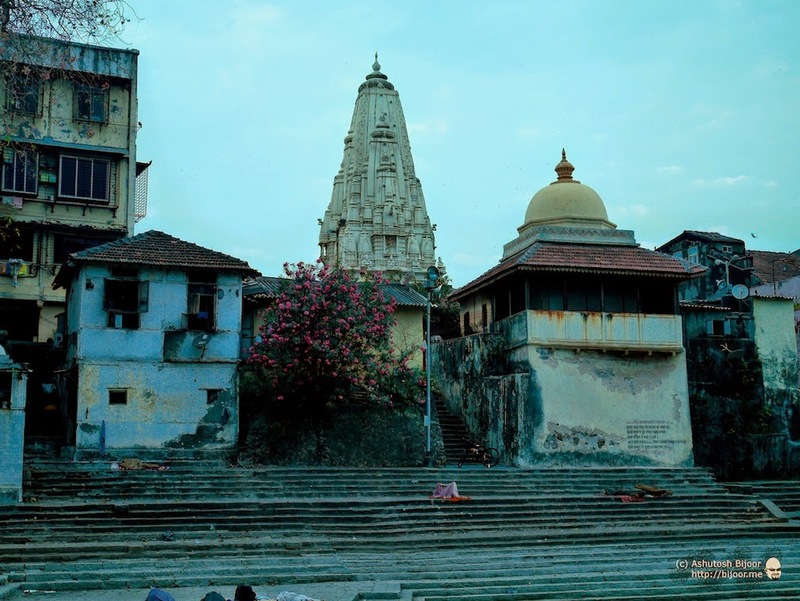 Another temple that seems to be quite old, but undated is the Siddheshwar temple on the eastern bank, located in the courtyard that overlooks the tank. 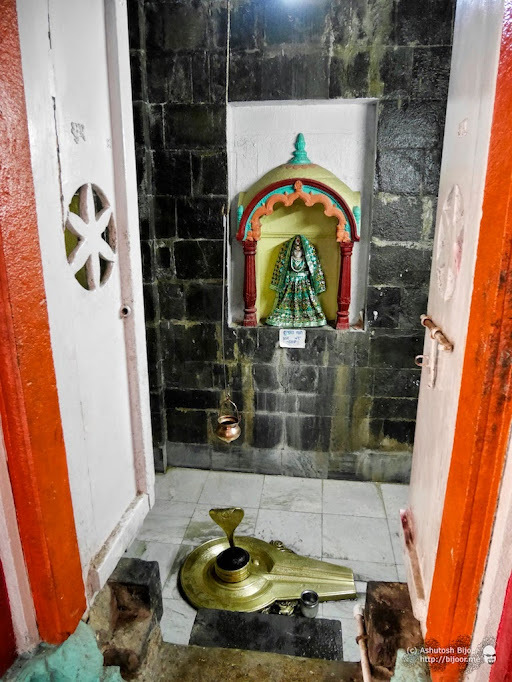 I could not enter the temple because there was a man fast asleep at the entrance, and I had no intention of waking him up for my exploration. 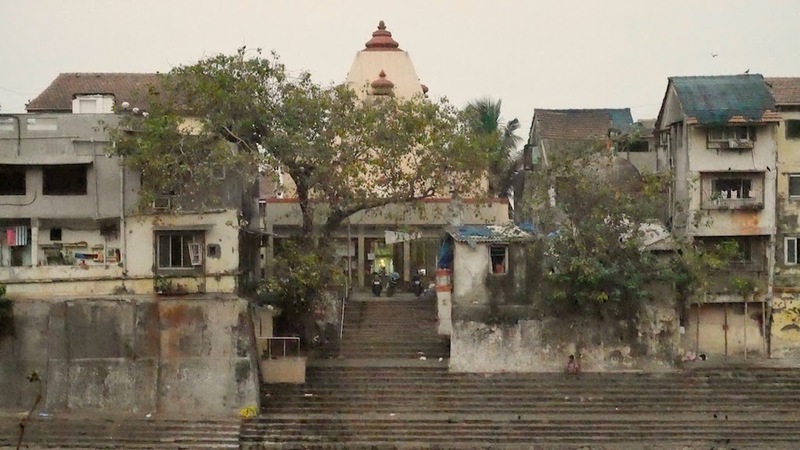 This picture taken from the western bank shows the entrance to the Sidddheshwar temple above with two small pillars, towards the right of the photograph. 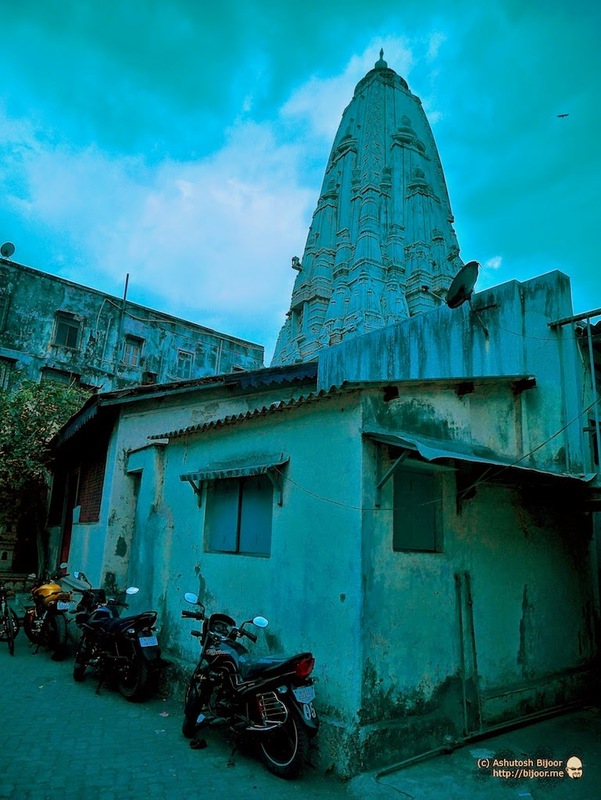 On the left, the dome peeping out above the houses belongs to “Sri Ventakesh Balaji Temple” that is purportedly constructed in 1789 AD as per the board at its entrance. 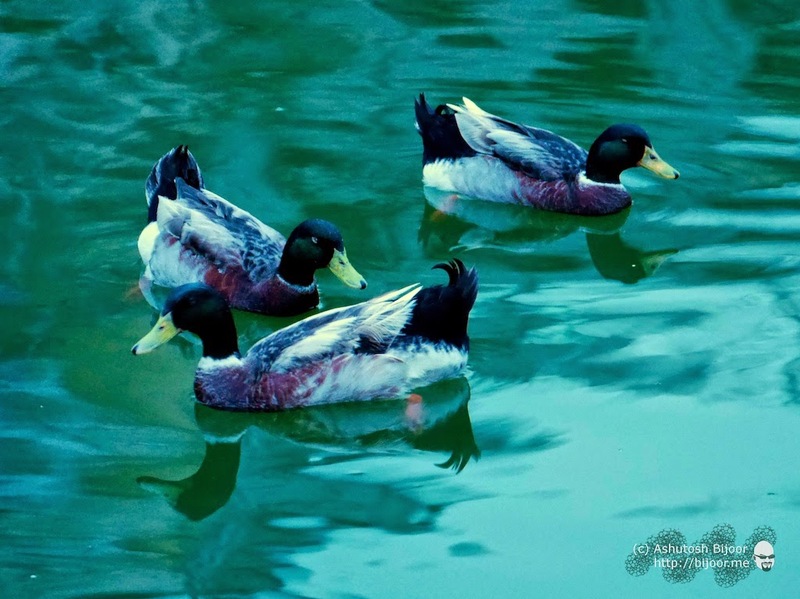 Compare this photograph to the one above. 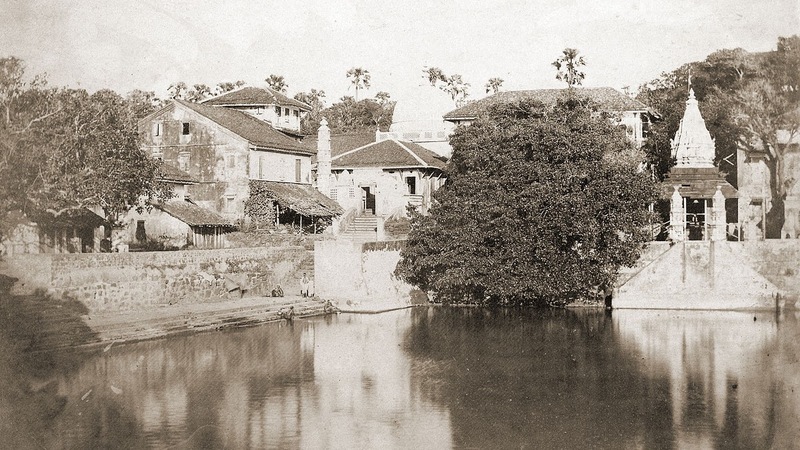 This is a photograph dated 1855 AD, from the ‘Vibart Collection of Views in South India’ taken by an unknown photographer (ref). 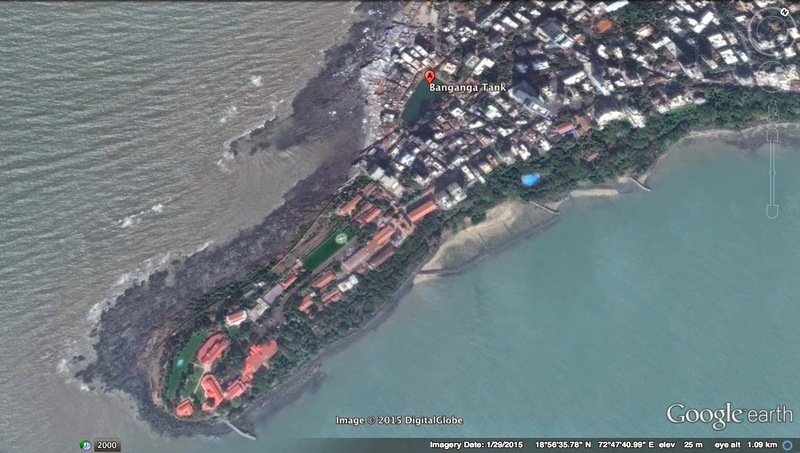 Both, the Siddheshwar temple to the right as well as the Venkatesh temple to the left seem to have been present in the same locations. 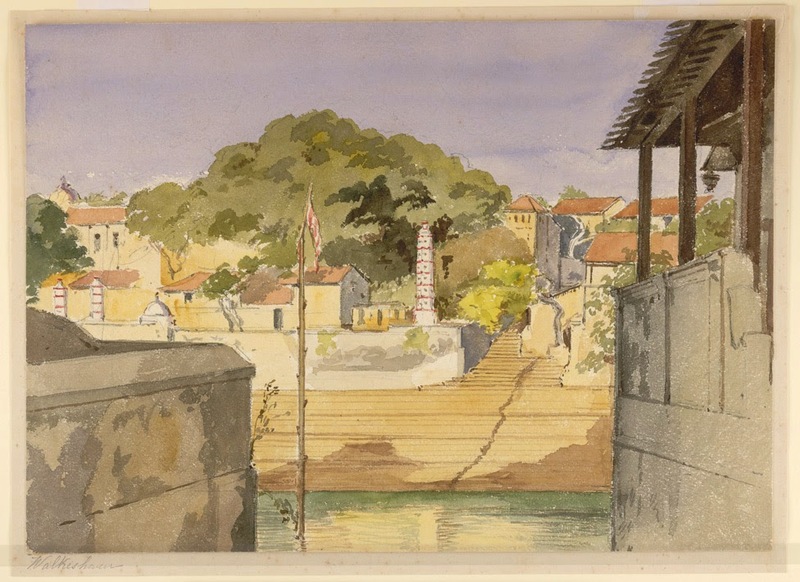 This watercolor painting is by William Carpenter (1818-1899) between 1850 and 1856. Inscribed on the reverse and on the mount is: ‘Walkeshwur’ (ref). Interestingly, there seems to have been another entrance to the tank from the eastern side. This is my approximation of the viewpoint in the painting taken from the western bank looking at the eastern bank. 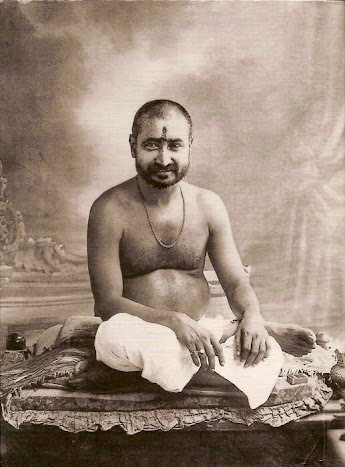 Tried to coordinate the two small pillars of the Siddheshwar temple on the left of the painting. 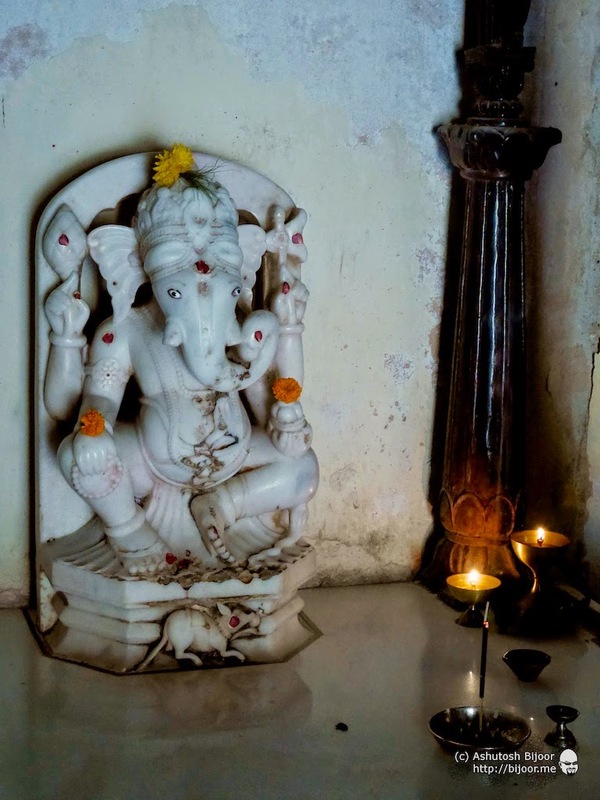 The inside of the temple is very well maintained and is painted gaily with all the carvings kept clean with a daily morning wash. 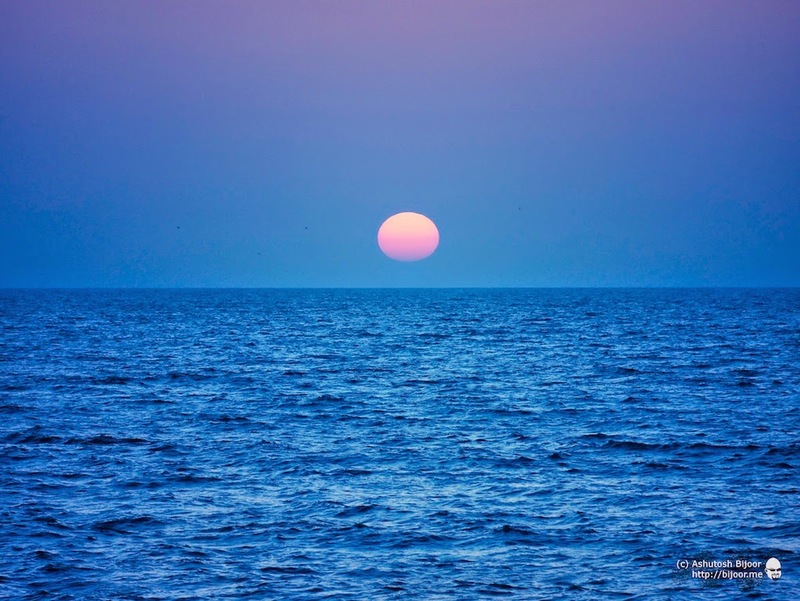 The view from behind the samadhi looks out into the sea, and in the evening presents a hypnotic view of the sunset. The photographs in this article were taken across three visits, the last of which was in the evening – and that’s how I captured this sunset. This is the route from Andheri to Banganga and back – a distance just over 50 km – perfect for a weekend ride! 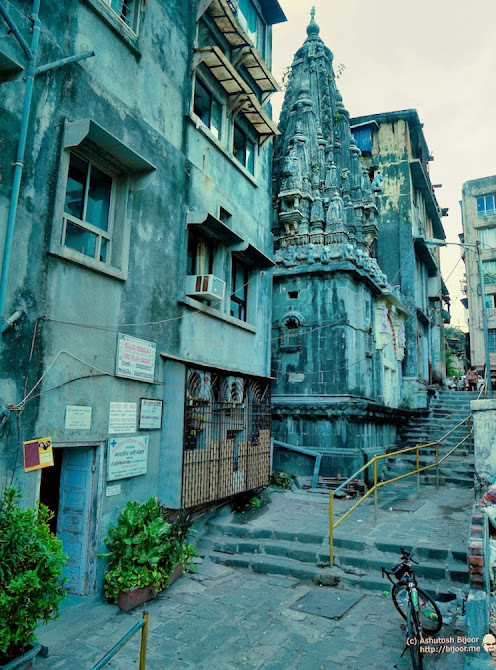 I had ridden to Banganga several times before, but this effort of researching and documenting it’s history has revealed a completely different picture of the significance of this place. 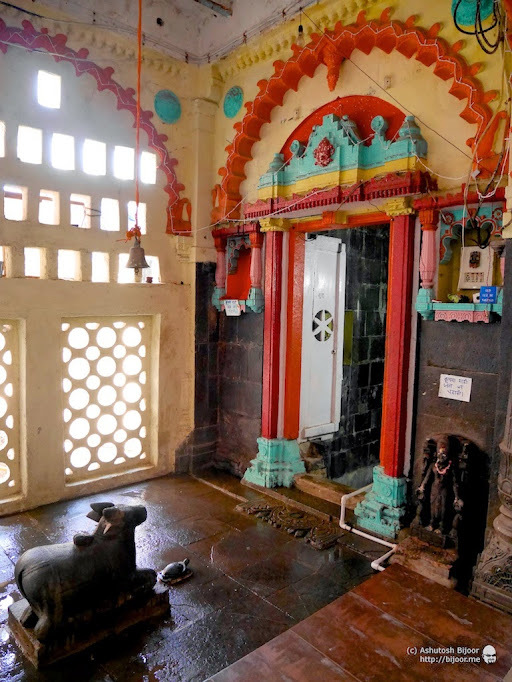 Don’t miss reading the article about the Ambernath Temple – that was also built by the Shilaharas.